If you're stranded on an island, you'll want this journal with you! If you're looking for a new book in which to record your thoughts, lists, and more, you're in luck! Canterbury Classics, known for publishing fine works of literature, has released their next set of writing journals for your story recording pleasure! 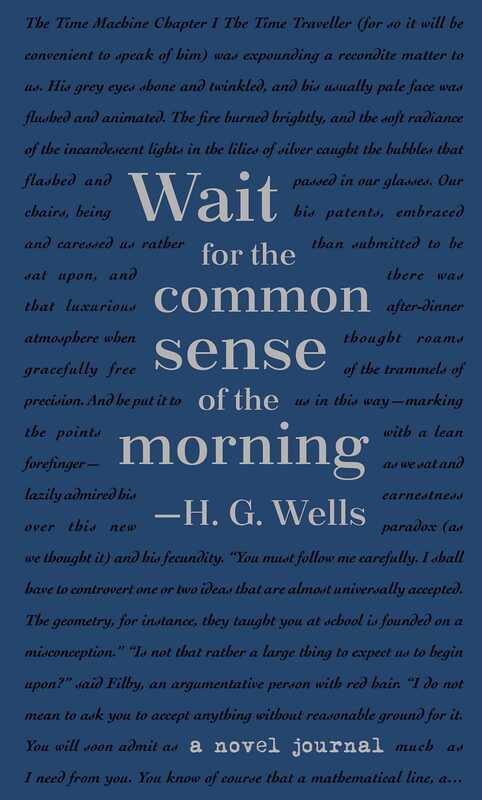 Tiny print encompassing the entire text of three stories by H. G. Wells creates the lines throughout this notebook, so you can pen your words right next to those of one of the greatest authors of all time. With heat-burnished Svepa covers featuring a clever quote, illustrated endpapers, foil stamping, colored edges, and an elastic band to hold it all together, you'll want to collect the whole Novel Journal series.